Jürgen Klopp addressed the Liverpool supporters in the match programme for West Ham’s visit of Anfield ahead of the start of the Premier League season. The Reds begin their season with a tricky tie against a Hammers side that were unbeaten during pre-season. Liverpool will be hoping this season brings them success, with many believing the Reds are a serious threat to Manchester City for the Premier League title. And Klopp claims his squad and him have the ‘highest expectations you can imagine’ for themselves for the upcoming campaign. “We come into today full of joy, expectation and excitement but knowing we are continuing an existing journey,” he wrote in the pre-match programme. “Last season brought wonderful memories and great moments. Of course, these are to be cherished, but from a professional perspective we must view it as something that has concluded – but something to progress from. It’s about using the information and taking the next step. “I’ve spent a lot of the summer being asked about what we expect of ourselves this season and what a fair expectation is from others. I can address that in two parts. Firstly, our own expectations are always the highest you can imagine – why wouldn’t they be? I start every season with the highest ambition and want the maximum. I’ve always been like this. The moment I don’t have that, I will be sat watching the matches as a spectator and not a manager. “It’s the same for the players – there is no target they can be set that is higher than that they set themselves. Therefore, saying what we think we will achieve is completely pointless. “The second part, what those outside of our club think, I really could not care 0.1 per cent about because it’s not important. It’s part of the game, of course, but it really doesn’t influence anything. “We are Liverpool; there is no one on this planet that expects more of us than we expect of ourselves. I really love how the players have reacted this summer and I cannot praise them enough for the way they have stayed hungry until now. “Attitude in training and in the practice-matches has been outstandingly good, the highest level. And when you consider, as it has been for other clubs also, the build-up has been disrupted by players coming back at different times, it is even more impressive. “New players have integrated well, the young players have stepped up, and the existing players have shown they are focused on making sure the next step is a forward stride. It is what I see day-to-day in our team environment that gives me optimism and belief. “We are still very much an ‘insurgency’ – we are a club that has built season-on-season, we have shown a commitment to the development of our players and a commitment to coaching and training. Liverpool vs West Ham United kicks off at 1.30pm (BST). 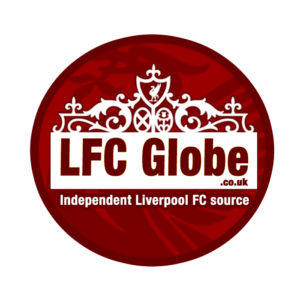 LFC Globe will bring you the latest from Anfield with our match-day coverage.